Petteri Sariola (1984) is a fingerstyle virtuoso. He’s known for his fierce live performances, beautiful songwriting and percussive approach on the acoustic guitar. He picked up the six string at the age of 7, but after countless non-functional bands he ended up developing a style of his own, covering all the sounds of a full band on a steel-string acoustic while singing his heart out. No loops, no backing tracks. Sariola has released four solo albums, played almost a thousand shows touring solo around Europe, USA and Japan, and reached millions of viewers on YouTube. Sariola’s brand new solo album “Resolution” has received raving reviews and it concludes a 10 year project of creating a trilogy of albums containing original compositions. His previous albums “Silence!”, “Phases” and Dead Sirius 3000’s “Get Sirius” have all been released in Europe and they are available in Japan by King Records. Sariola’s previous solo album “Through The Eyes Of Others” was released by both King Records and the American CandyRat Records, the most notable label specialized in fingerstyle guitar music. He has been awarded with Nokia Young Talent scholarship, Honorary Prize in the Helsinki Funk Awards, City Magazine Guitarist of the year and as the cover article of Akustik Gitarre, the biggest acoustic guitar magazine of Europe. Sariola shares his time between playing solo acoustic guitar and rocking out with the electric guitar as the frontman of Dead Sirius 3000, a band of pure energy that combines raw rock & roll with killer melody hooks and fusion elements. He has opened concerts for Tori Amos (USA), Andy McKee (USA) and Rodrigo Y Gabriela (MEX), and collaborated with Doug Wimbish (Madonna, Living Colour), Jon Gomm (UK), Mike Dawes (UK), Elastinen, Rajaton, Don Johnson Big Band, Felix Zenger (James Brown, N.E.R.D. ), Osmo Ikonen (Sunrise Avenue), just to mention a few. He enjoys coffee and long walks on a beach. Unfortunately Finland is snowy and dim 8 months per year so you can find him traveling pretty constantly. These three amigos are very well known for the audience of the Ylläs Jazz & Blues! Joshua, Evan and Mika are always ready to come back to their sweet home away from home, Äkäslompolo. Superb American singer-songwriter Joshua James, who was praised by the influential Rolling Stone magazine, brings with him from Utah his elegant guitar player Evan Coulombe. The third amigo Mika Kuokkanen jumps aboard from Helsinki and brings his finnishing touch to this trio. Lena & The Slide Brothers was formed in 2009 in Helsinki, Finland. Their debut album “Turn it on” was released in 2010 and it contains a wide range of American roots music styles. The following album “Shine Your Light” came out in 2013 and showed another, rougher side of this band. Their latest album “The Road” was released on April 8th 2016 and it has has received great reviews and plenty of airplay world wide. They have played at the most of Finnish blues and roots music festivals as well as in clubs and concert halls all over the country and in the neighbor countries Sweden and Estonia. Lena and her band mates are also working as an electric blues trio or an acoustic duo. On April 2016 Lena & The Slide Brothers represented Finland at EBU European Blues Challenge 2016 in Torrita di Siena, Italy. On January 2017 the band won two categories at the FINNISH BLUES AWARDS 2017. The artist/band of the year and the best song of the year. (The road you’re on). Jussu Pöyhönen has become known as a singer / songwriter and founder member of the successful band Suurlähettiläät. In addition to the extensive band career, Jussu has also released albums under his own name since 1997.  At the Ylläs Jazz Blues 2019 festival, Jussua will be heard with three solo gigs, which include also music from Leonard Cohen, Tom Waits and John Hiatt. Gunu All Stars is a jazz band composed of favorite musicians by Mikko “Gunu” Karjalainen. At the Ylläs Jazz & Blues Festival, Sextet presents fresh arrangements from the peak years of jazz music, the 50’s and 60’s. This unique encounter is a guaranteed celebration of swing, energy, and communication. Jussi-Pekka Kannaste / Tenor Sax. Hilland Playboys is best known for their weekly Hilland Mondays live country music show hosted at Juttutupa, Helsinki. After over four years and more than two hundred hot monday night gigs, this band formed by Telecaster guitarist Pauli Halme and steel guitar player Antti Vuorenmaa is definitely the most significant thing in Finnish country music in many years. The band will do all kinds of country music starting from the most authentic ’40s and ’50s honky tonk sounds but the raw outlaw and country rock songs are a major part of a Hilland Playboys show as well. Mika Kuokkanen is known for his work with the Hoedown band, one of the Finland`s roots music`s most precious gems. Besides Hoedown Kuokkanen has worked as a solo artist ( KKANE) and as a musician for many of the top artists in Finland ( J.Karjalainen, Edu Kettunen, Mikko Kuustonen, Erin, Maarit etc. ) during his relatively long career. At the moment he has also an honour to be part of the legendary Broadcast band. Besides his solo gig Mika will perform twice at the Jazz & Blues festival with his American friends Joshua James and Evan Coulombe. Mika`s solo gig consists of a mixture of his own songs and his favorite cover songs that he has arranged with love and care! Micke & Lefty is considered as one of the best and most interesting acoustic blues & roots duos in Scandinavia and Europe. Strong original material, excellent musicianship, acoustic instrumentation and both singing lead vocals makes them sound really distinctive. Their music features a rich mix of American roots music all from classic delta- and countryblues style spiced up with some country, rock, jazz and Hawaiian style, this is a real acoustic roots & blues music adventure. All this is backed up with explosive slideguitar, powerfull harmony vocals with positive attitude makes this duo sound unique and concert experience something special and pleasant to follow. Ville “Lefty Willie” Leppänen is a world class virtuoso on resonator guitar and is considered as one of the best slide guitar players in Europe. Micke Björklöf is one of the best known blues singers and bandleaders in Finland, his strong voice can be heard on Micke Björklöf & Blue Strip recordings. As a trio Micke & Lefty feat.Chef represented Finland at European Blues Challenge final in Berlin 2011 and International Blues Challenge in Memphis, USA 2012. Through the years Micke & Lefty has performed on hundreds of clubs and all major festivals in Finland and some in following countries: USA, Germany, Poland, Sweden, Norway, Slovakia, Hungary and Estonia. Micke & Lefty has been working together over twenty years and collaborated on 7 albums so far. Both musicians are also a part of top Finnish rhythm & blues band Micke Björklöf & Blue Strip. Lena and Matti, duo from Lena & The Slide Brothers performing their own LSB songs and blues and roots music evergreens. An intimate concert you don´t want to miss. The Lovematches is a year old duo from Helsinki. Sanna Björkman and Pasi Rytkönen formed their duo from love to roots music, harmony singing and to each other. Pasi plays acoustic guitar and maybe some kazoo, while Sanna gives her tender touch to accordion, clockwork, spoons and piano. Played songs may be loaned, but not from the obvious sources. Everything in this duo is about the feel. The Lovematches concert is also opening act for photograph exhibition of Pasi Rytkönen and Ylläs Jazz Blues 2019 festival. Founded in summer 2004 as powerblues-trio (J.Lepistö gtr+voc, T.Mäkelä bs+voc, Jukka Larmu dr) in the spirit of Stevie Ray Vaughan, Jimi Hendrix, Dr Feelbood, and all the good roots music that has the ability to move even grumpy old men. 2011 – Jukka Oravainen joins the group and turns the trio into a proper blues quartet, bringing in more vocal harmonies, sound spheres, arrangements, and moreover a real authentic 70’s Leslie with his organs! 2013 – Into The Yellow Light is released and accepted well – even by the critics. Blue Stone visits more blues festivals, taverns, and grows together as a Live Blues Quartet. 2017 – Blues to my soul is released and Ekku is finally granted with a real microphone! The sound has over the years developed from standard powerblues into the Blue Stone style of today… led by powerful J.Lepistö guitars, accompanied by J.Oravainen organ playground, backed up by the troubled double T.Mäkelä & E.Kivimäki, and topped by the lead vocals of both Lepistö and Oravainen over the groovy sound. Man Jorge, a true underground man, is the hidden gem of Finnish techno scene. Hailing from East of Vantaa where he got his first residency at 1991, time and old style music digging sure has refined his style, ear and selections to his own level. No matter if he is playing in an old church or intimate underground party, there is only one common unplanned and unexpected moment to share. He co-hosts bi-weekly techno show Maanalainen Radio on Bassoradio.